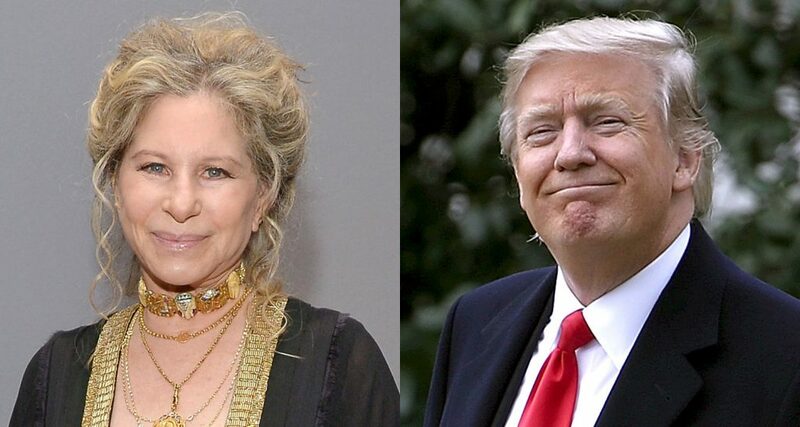 07 Jan, 2018 by	Margaret M.
Hollywood nutbar Barbra Streisand is having her monthly meltdown over Donald Trump. But this time, it appears to be trickle-up outrage and she is upset that under Trump’s Tax Cut and Reform Bill, the millionaire’s tax bill is going up. According to Forbes, the singer is worth $370 million and has taken to Twitter to cry that her taxes are going up, because the new tax plan no longer has goodies she can exploit for lower taxes. On social media she cried about it in the only way she can imagine: through the magic of cinema, because taking a hard look at reality as it is is too difficult. Basically, if this were a movie script I wouldn’t like it! Well, movies are over in two hours and good ones have an ending. Real life is slightly different than popcorn entertainment on a Tuesday night. Of course, there has to be a conspiracy out there. Most of us have never interacted with billionaires, but Babs seems to be familiar with how they all think, while adding on a note about “the middle class” as an afterthought. Trump told us to wait until February, when that “middle class” opens their pay stubs and sees the extra dollars they’re getting to keep. And as for the rich — weren’t we told that this new Tax Cut and Reform Bill will only lower taxes for the ultra-rich? Yet Streisand cries that she’s been ripped off. What’s making Babs such an expert on her taxes so early on? They’re not due for months! Well, if you have millions in assets you’d best do your taxes before the first of January so you can see if you should invest more here, or there, or if you should hold off on any big purchases until next year. Her accountants must have come back to her to confirm that yes, you’ll be paying more in taxes because the old tricks we used to hold them back from the government are no longer in play. Streisand, like so many other disjointed Hollywood celebrities including Chrissy Teigen (who said Trump has caused her to need dental work for grinding due to stress), has used the election of Trump to excuse herself from personal responsibility Last spring she claimed that she was gaining weight, explaining that she eats pancake with maple syrup after watching the morning news. “Time for more pancakes,” she said after watching a report of Trump accusing Obama of tapping his phones. For years now, Babs has been on a high horse while even her own family struggles. Her stepson, Jess Brolin, was photographed digging food out of a garbage bin near where he lives in California after being unable to afford his $800 a month apartment back in 2011. Less than 80 miles from the Streisand mansion, Brolin lived been on the streets. James Brolin, the man’s father, has been married to Babs since 1998. Jess was granted a six-figure inheritance when his mother died in an accident in 1995, but ran the money out.